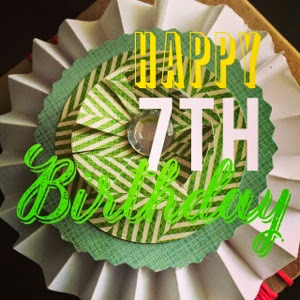 Happy 7th Birthday to my Blog! Today is my blog's birthday! I started in 2007 and I have been chugging along ever since. I love having any excuse to eat cake! I will say that my blog has been such a fun roller coaster. Thanks to everyone who has supported me and my crazy little blog. Here's to a many more years, Cheers!